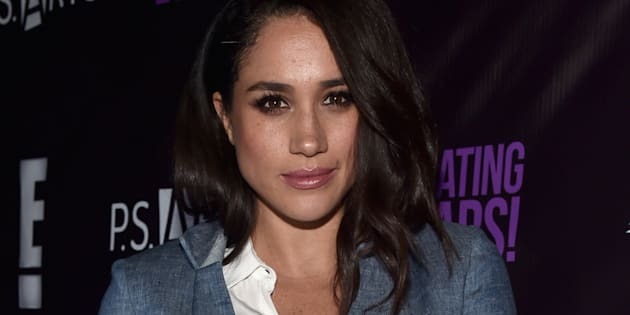 Meghan Markle Reportedly Moves Out Of Toronto Home To Settle In U.K.
She's one step closer to getting engaged to Prince Harry. Will there be a royal engagement to cap off the terrible year that has been 2017? Signs point to... maybe. One of the biggest signs that we'll be waking up to a photo of Meghan Markle flashing a ring soon comes from Markle herself. According to reports, the 36-year-old has moved out of her Toronto home and will settle in the U.K., where her boyfriend, Prince Harry, lives. Since wrapping up "Suits" — reportedly her final season with the series — the actress has made arrangements for her two dogs to stay with her mom, Doria Radlan, and has moved much of her furniture into storage while she transitions to her new life in London. "Meghan's furniture from her Toronto home will be going into storage and her personal belongings are being sent to the U.K. ... With 'Suits' over, so is Meghan's life in Toronto," a source told Us Weekly. "It's the end of a really precious era so she's definitely sad to see it come to an end, but she's also really excited about starting a new chapter with Harry." Meghan Markle and Prince Harry at the Closing Ceremony of the Invictus Games Toronto 2017 at the Air Canada Centre on September 30, 2017 in Toronto, Canada. The source adds that Markle will move into Prince Harry's home, Nottingham Cottage at Kensington Palace, explaining, "there are no plans for them to live separately. Meghan will move right in." And although there hasn't been an announcement (yet), Us Weekly also reports that Harry and Markle, who have been dating for more than a year, are already secretly engaged and will wed next summer. According to the magazine, Harry has "commissioned a ring for Markle using diamonds from a brooch that once belonged to his mom" and the couple will make an announcement in the new year, including a photo call at Kensington Palace and a TV interview. "It gives Meghan some time to get settled and will be a great start to 2018," notes the magazine's source. Meghan Markle and Prince Harry attend the Wheelchair Tennis at the Invictus Games in Toronto. Should they get married, it would be Harry's first marriage, and Markle's second. The actress was previously married to producer Trevor Engelson from to 2011 to 2013. Another sign that Markle and Harry will wed? The actress had tea with Queen Elizabeth recently. According to the Daily Mail, the Vanity Fair cover girl had an informal meet with the Queen in October. "Harry, I understand, was introducing his American actress girlfriend to the Queen," noted reporter Richard Kay. And if anyone had any doubt that the two are in it for the long run, you only have to look at all the photos of the twosome looking so in love at Toronto's Invictus Games in September. Bring on the royal wedding!